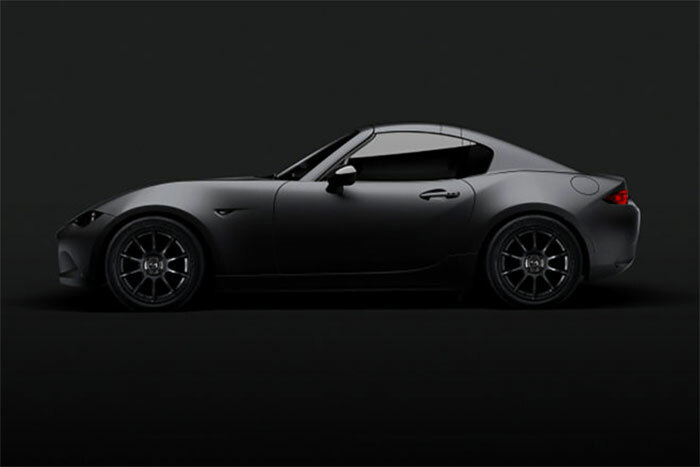 Mazda is showing off a pair of concepts that it will have at SEMA 2016 to wow the crowds and they are both very cool. 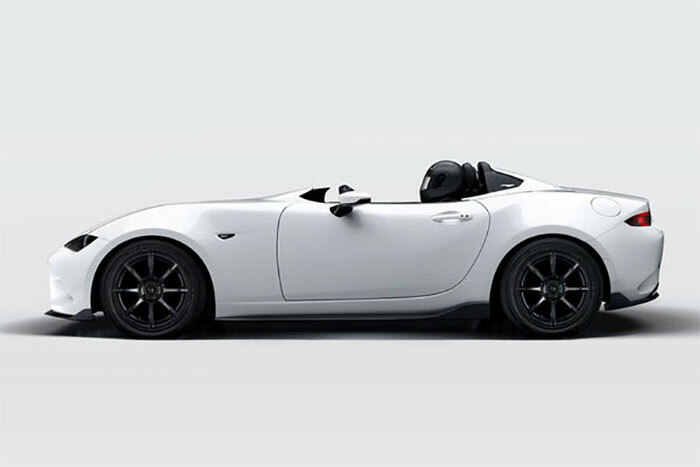 Both are MX-5 concepts with one called the Speedster Evolution and the other called the MX-5 RH Kuro. the Kuro is a beast of a little retractable top car with a special semi-matte metallic color that looks fantastic. The car rides on Rays forged wheels, BFG Rival G-force tires, and MX-5 Cup car suspension. It sounds like it would be a blast on the race track. The Speedster Evolution on the other hand is a heavily revised version of the new MX-5 that lacks a windshield and has no roof at all. The removal of the windshield and soft top shed 350 pounds from the 2332 pound MX-5. That means this little honey badger weighs in right at 2,000 pounds. It also gets fancy suspension, sport seats, and racing harnesses along with the normal 155hp engine. Throw a turbo on this little beast and it would humiliate “fast” cars on a road course.